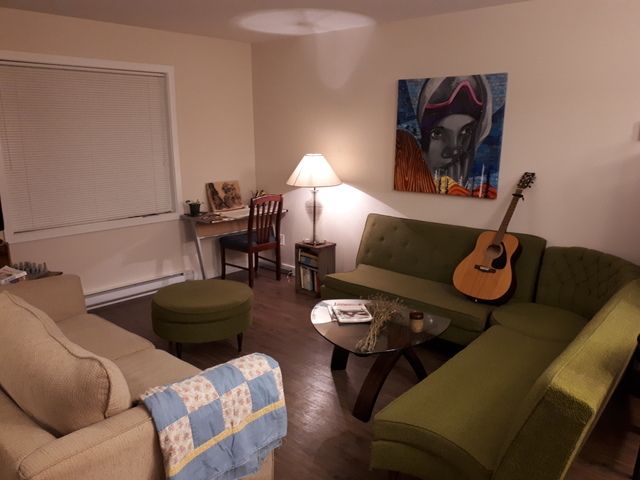 Room for rent in 2 bedroom townhouse near Southside Market. Available October 1st. In-suite laundry. Short walk to downtown and river trails. Building is family friendly. Sorry no pets. Rent will depend on single or couple. Utilities extra. Please send some info about yourself (work schedule, interests, experience in shared housing etc) and I am happy to answer any questions you may have.